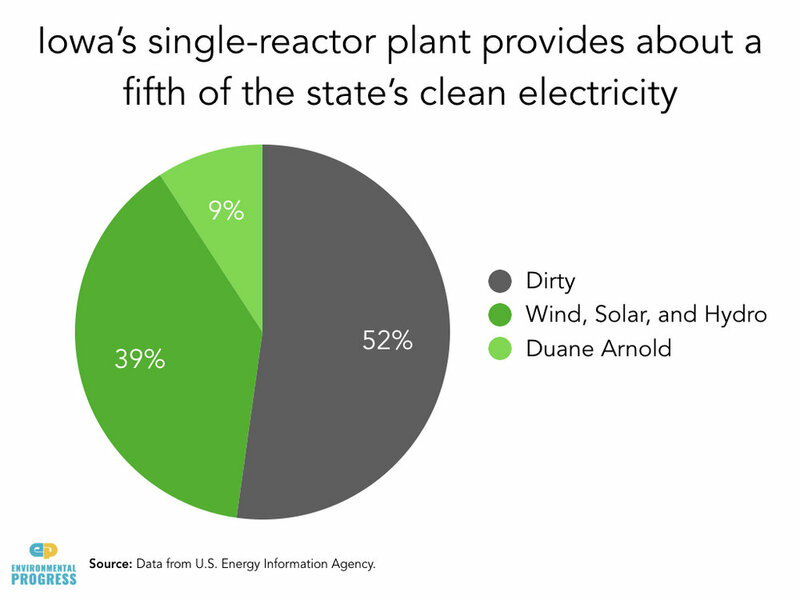 Iowa is home to Duane Arnold Energy Center, a single-reactor nuclear power plant that provides nearly one-fifth of the state's zero-carbon electricity. Without nuclear, Iowa’s reliance on coal would likely increase from 45 to 54 percent. 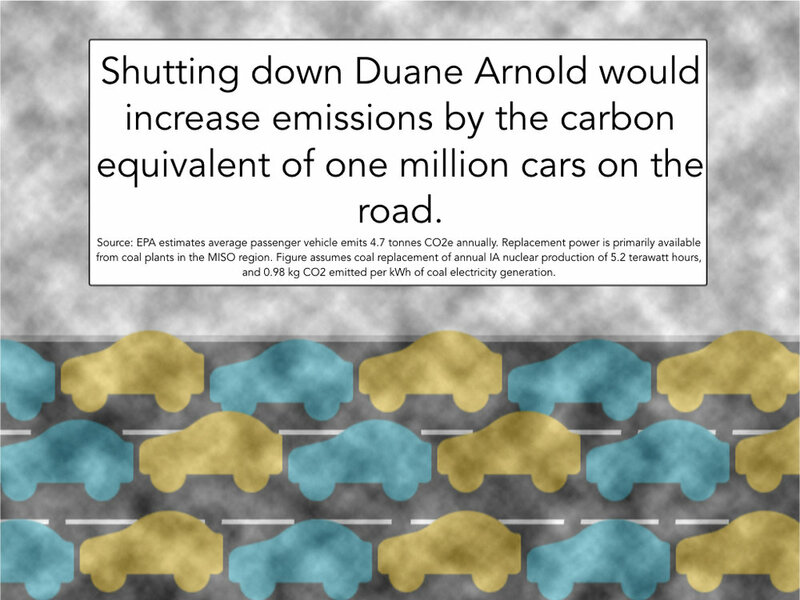 Iowa’s emissions would increase the equivalent of adding nearly one million cars to the road if Duane Arnold closes. Climate scientists including James Hansen, along with other concerned scientists, conservationists, and environmentalists have urged Governor Reynolds and other state and federal leaders to prevent the early closure of Duane Arnold Energy Center.